Cebek FE-71 module is a single rail 9VDC stabilized power supply. It can deliver a maximum of 300mA, the output is fully regulated and short circuit protected. The FE-71 module includes connection terminals to facilitate assembly and LED to indicate its operating. 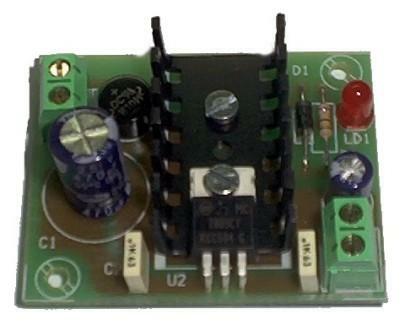 The 0 - 9v - 12v 300mA transformer is also supplied and included with this module.